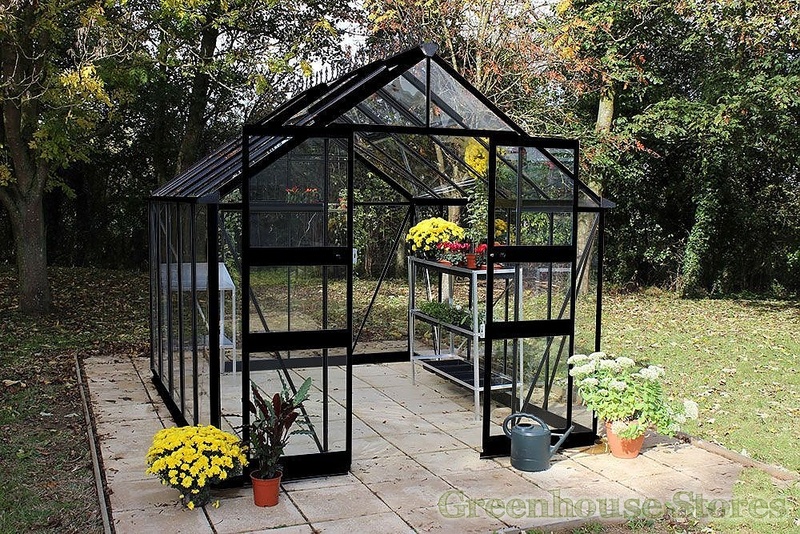 The black Eden Blockley 8x10 is the latest 8ft wide greenhouse and features the new Zero Threshold™ entrance for easy and safe access with wheelbarrows. 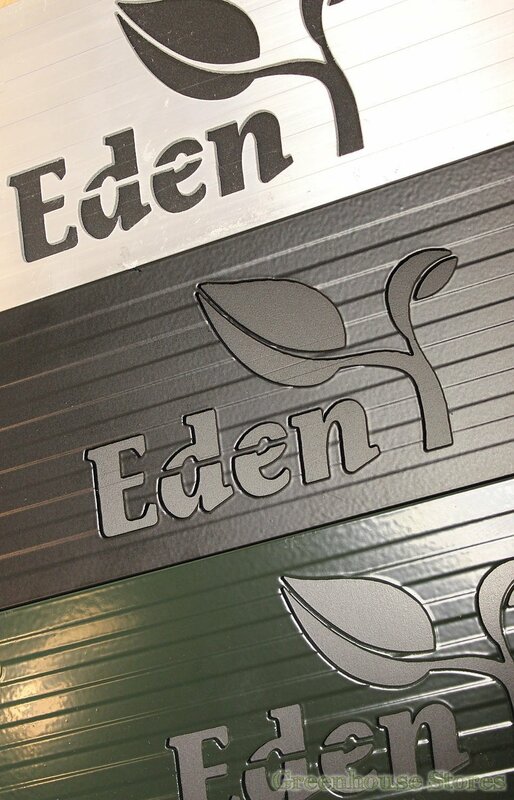 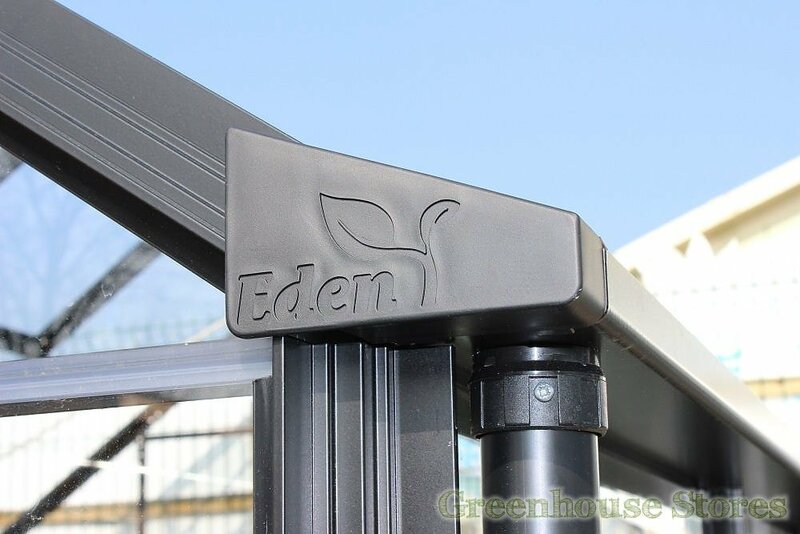 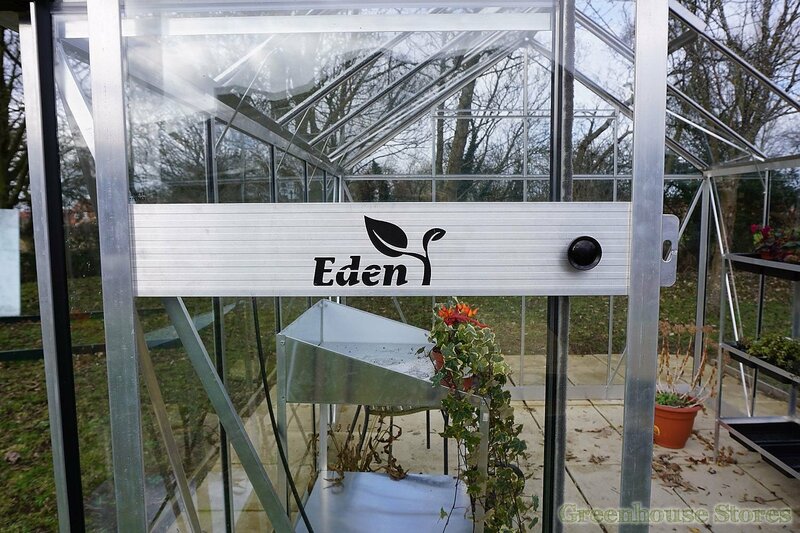 NEW - Zero Threshold™ Door System is a first in modern greenhouse design and totally unique to Eden Greenhouses. 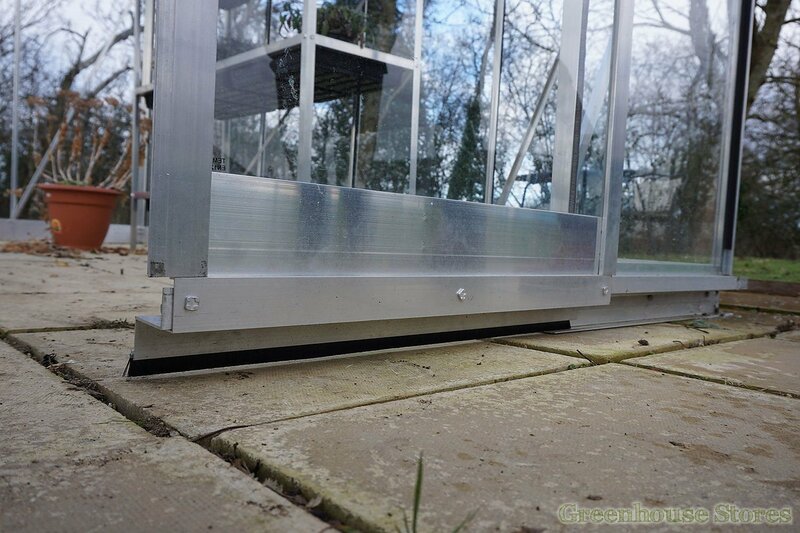 There’s simply nothing to step over as you enter the greenhouse. 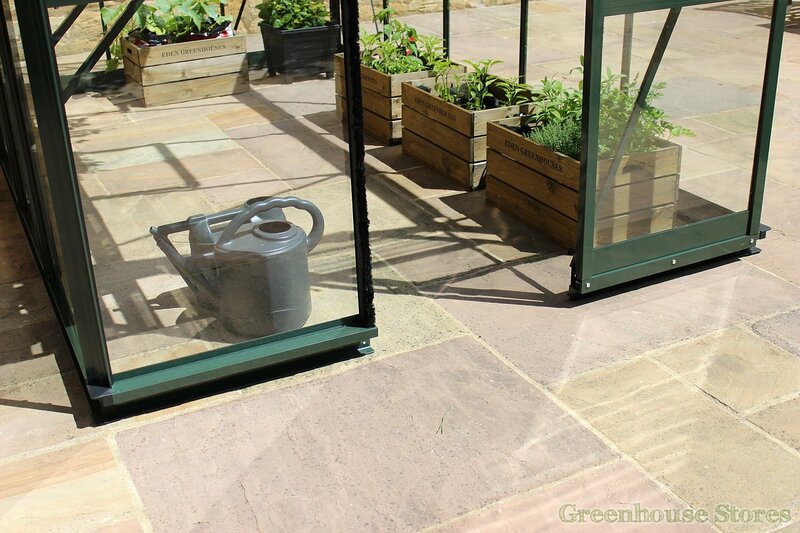 No tripping over traditional raised base plinths, and easy access with your wheelbarrow or wheelchair. 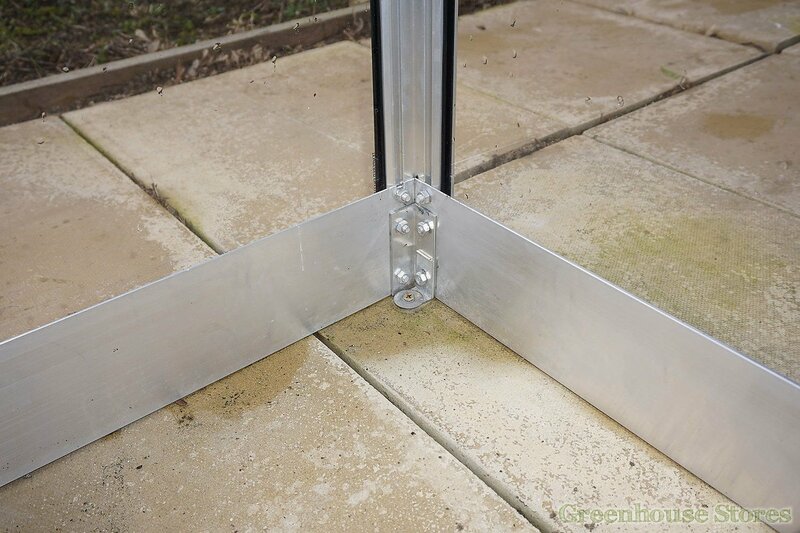 This system complements the integral base plinth that makes installation fast and easy as well as adding stiffness and rigidity to the structure. 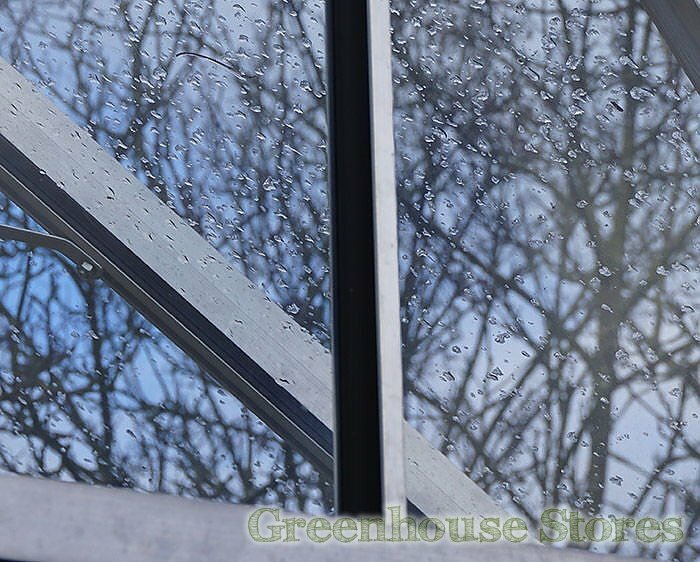 NEW - Wide Gutters with Downpipes make a big difference to the amount of fresh rainwater you can collect as well as help keep them blockage free from fallen leaves. 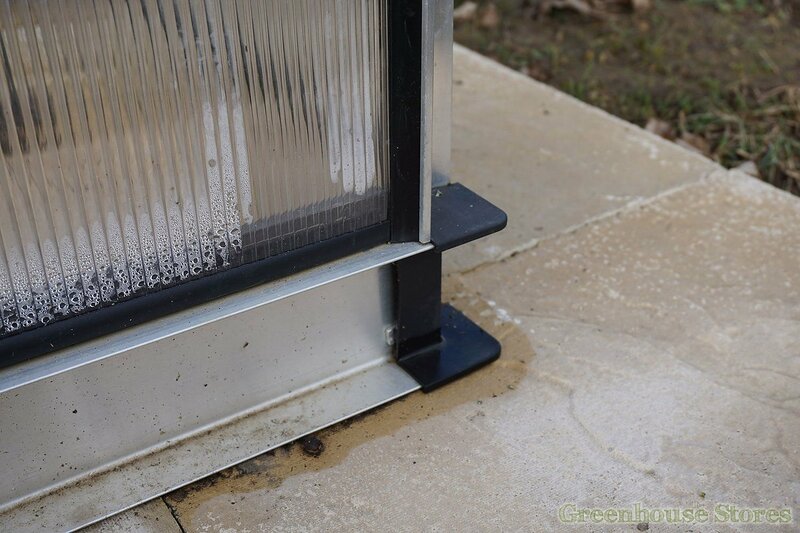 These superb 80mm wide gutters also come complete with 40mm downpipes as standard. 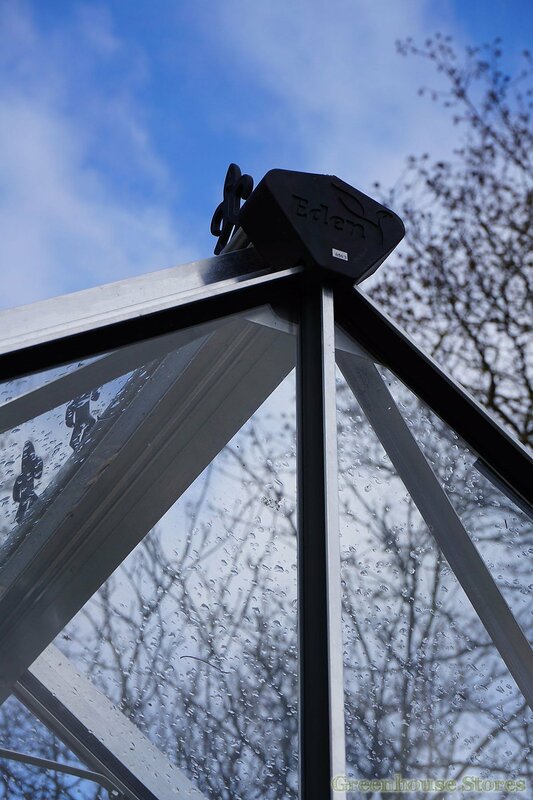 Along with the super strength ridge bar these wide gutters also add to the overall stiffness of the greenhouse, giving increased stability in adverse weather. 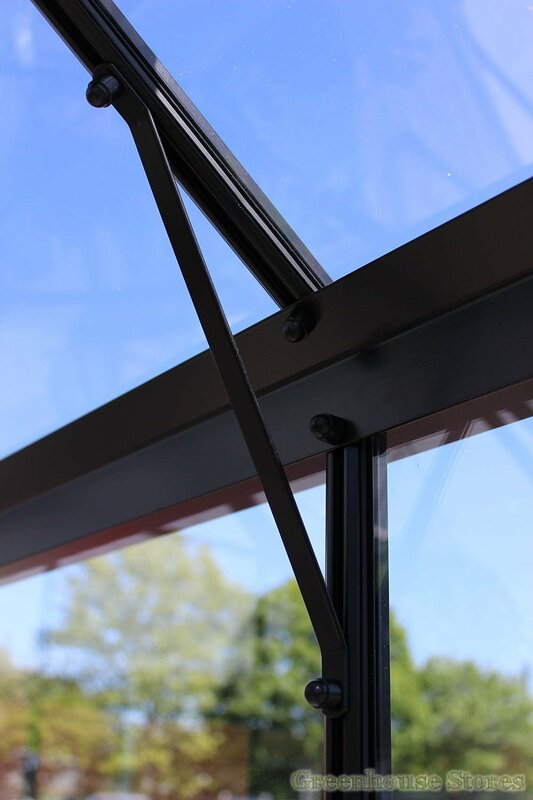 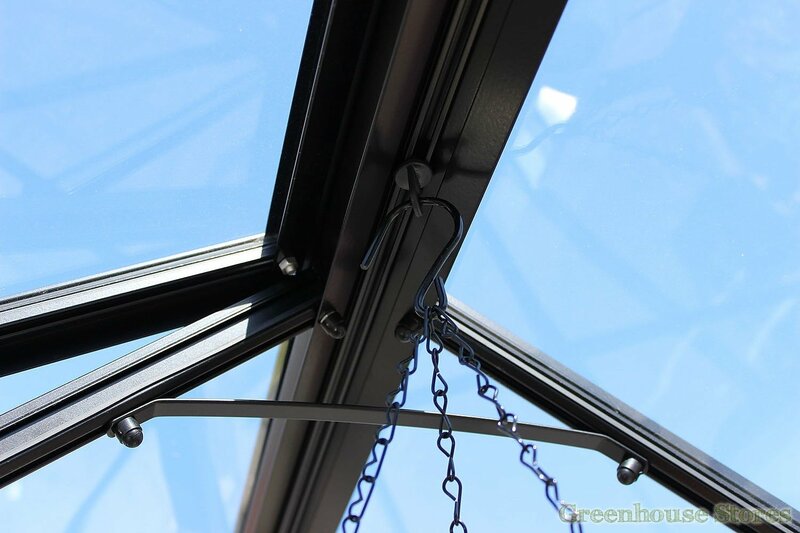 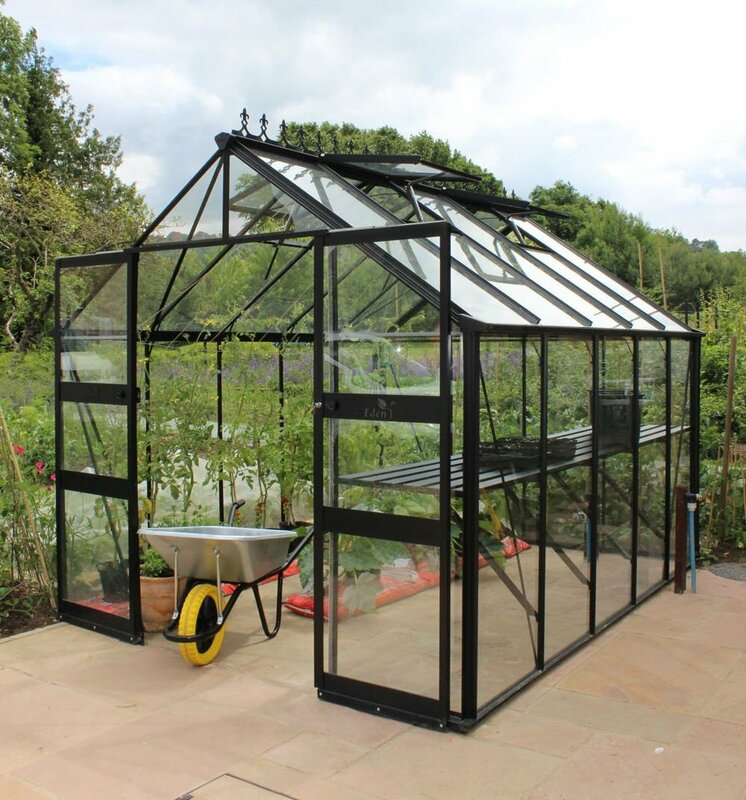 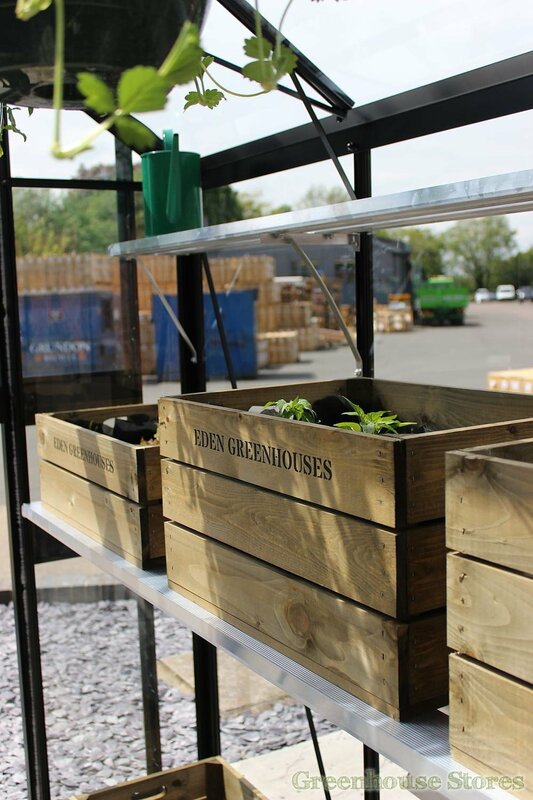 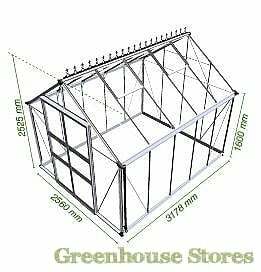 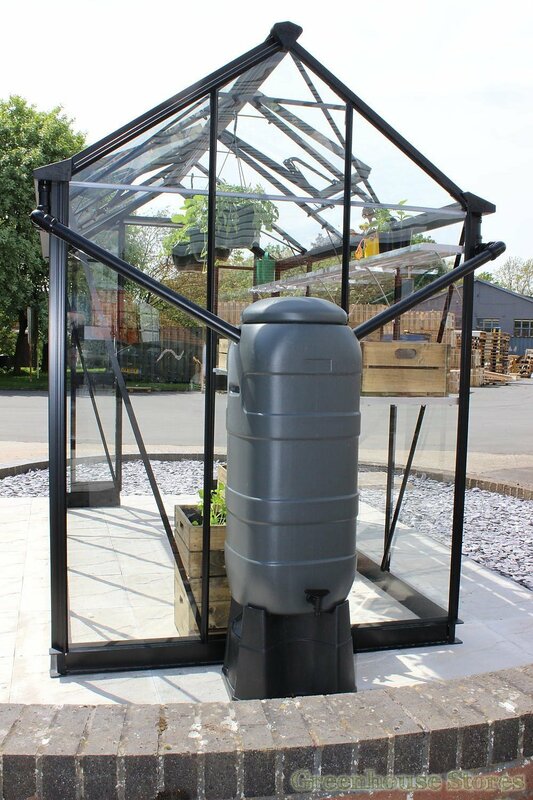 The Black Powder Coated Finish looks smart, helps your greenhouse blend into the garden and adds a further layer of protection to your greenhouse’s aluminium frame.